Pennsylvania has been an orchard state from its earliest beginning. In fact, William Penn can be quoted saying, “First plant an orchard, then proceed with building your house.” (Dave and Ben Wenk) Our plentiful and varied orchards have been a matter of state pride for centuries, especially in Adams County. Family owned orchards have been passed down for generations, and many of the ones which were open hundreds of years ago are still running today. While orchards and farms have been operating throughout the history of the state, one of the oldest orchards in Adams County belonged to the man Jacob K Oyler and Noah Sheeley on land purchased in 1832. This 78-acre farm was located north of Fox Hill in Franklin Township and was named Fairview Fruit Farm. It was 1878 when Noah Sheeley established a 23-acre apple orchard on the farm, located about one mile north of Cashtown. By 1893, there was a pressing need for market outlets leading Sheeley to make a deal with Samuel Bream, a grower near Biglerville. They attended the Chicago Exposition where they contracted to sell 1500 barrels of apples at $1.50 per barrel. While Oyler and Sheeley owned one of the first farms in the area, they were not the first commercial farm in Adams County. That honor belonged to one Cyrus Griest in Quaker Valley, 1858. Being a fruit grower in Adams County was a quickly growing industry. By the 1870s, more and more farms were becoming commercial, and there was a real surge when the Gettysburg-Harrisburg railroad was constructed in 1885. This made it easier for farms to transport to eastern seaports where barrels of fruit would be loaded onto ships and sent to Europe. This new commercial boom led many farmers to go into the nursery business. (Fruit nurseries are where seeds are spliced and bred to make better seedlings.) Despite the rising interest in the nursery business, in the early 1900s disease and pests became uncontrollable and forced many growers to abandon the nursery business entirely. The result was that the fruit nurseries still in business in Adams County became specialists in growing fruit tree nursery stock for the commercial industry. Many of these nurseries are still open today. In the last few decades a number of significant changes happened that molded where we are today. In the 1990s Adams County went through a push to switch from processed apples to fresh apples. This led to many growers adding Fresh pack varieties such as Gala, Honeycrisp, and Fuji in their plantings. The nursery business was also pushed to diversify their product lines. Apple orchards and fruit growing in general is an integral piece of the identity of Pennsylvania. Adams County is one of the largest fruit regions in the state as well as the country as a whole. Many innovations in growing have led to the booming industry we have today. Many of the farms open over a hundred years ago are still growing fruit today. Names of growers such as Benner, Brent, Donaldson, Kump, McCleaf, Roth, and Woerner carry on the fruit growing tradition in the Fairfield area. 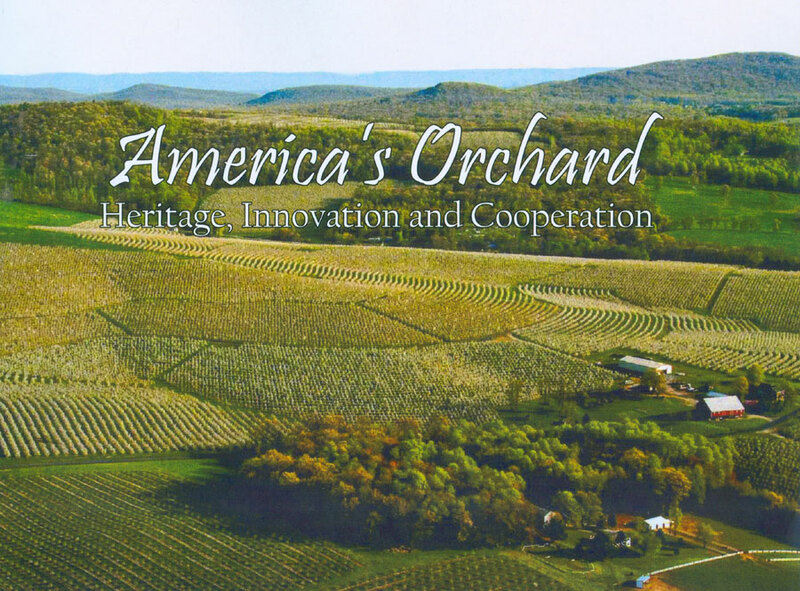 America’s Orchard: Heritage, Innovation and Cooperation. Anderson, A., Baugher, T., Piper, T., & Wilson, M. (n.d.). (C. Hemler, Ed.). 3-7 .